At the World Economic Forum (WEF) in Davos, FTI Consulting* launched their inaugural 2019 Resilience Barometer which explores how G20 companies are tackling an interconnected, technologically disrupted and increasingly regulated world. Astonishingly, the report has found that whilst companies anticipate challenges, such as cybersecurity and data, they remain largely unprepared. In an age categorised by the WEF as “The Age of the Fourth Industrial Revolution” (4IR), it is more important than ever for G20 companies to be instrumental in supporting societies and governments navigating unavoidable uncertainty and volatility. FTI Consulting’s new report outlines the key challenges we face as we move into 2019 by investigating company preparedness to 18 scenarios which could have a negative impact on turnover, value and reputation. • The resilience score for the G20 is only 40 points (out of a top score of 100 points) and turnover has been lowered by an average of 5.1% over the last 12 months, a major cause for concern in an environment that is growing more and more challenging. • We have found that the biggest threat to resilience in 2019 is that of ‘cyber-attacks stealing or compromising assets’ and 30% of companies we surveyed said this had happened to them in 2018. Yet whilst 28% of business leaders predict that this will occur to them over the next year, just 45% say that they are taking proactive steps to manage this risk. • 87% of companies expect a major crisis in 2019, yet only 4 in 10 are very confident in their ability to manage such a scenario. • One-third (1/3) of companies acknowledged that they are not doing enough to keep their data safe. 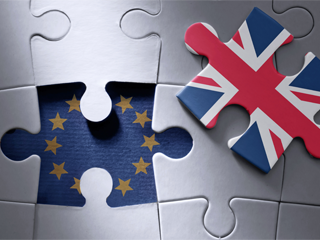 FTI Consulting’s Kevin Hewitt, Chairman of EMEA region, explained that: “This report looks to identify and unpick the challenges, and opportunities, that companies are facing today as they manage risk and enhance their corporate value. 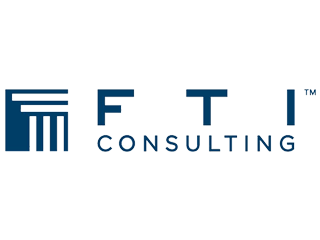 FTI Consulting, Inc. is a global business advisory firm dedicated to helping organisations manage change, mitigate risk and resolve disputes: financial, legal, operational, political & regulatory, reputational and transactional. With more than 4,600 employees located in 28 countries, FTI Consulting professionals work closely with clients to anticipate, illuminate and overcome complex business challenges and make the most of opportunities.